The JSR 303 specification provides a metadata model for JavaBean validation. The validation API provides a variety of annotations that makes validation easy at any layer. In this post I will demo Spring 3’s support for JSR 303 in the web layer. You can download the code here (eclipse project). The first part of the post talks about creating a simple bookstore admin application using Spring MVC. The second part of the post will add JSR 303 validation. If you are an experienced Spring developer, you can safely skip to the second part. The final part will show how to customize the validation error messages. Step 3. Add Spring MVC Dispatcher Servlet to web.xml file. In the declaration below, Spring MVC will handle all URL requests to html pages. The form will be submitted to the book.html page. Step 7. Modify BookFormController to read the submitted data and process it. NotEmpty annotation is not part of JSR 303 specification. It is part of Hibernate Validator framework which is the reference implementation for JSR 303. Step 2. Modify BookFormController to have Spring validate the submitted data. This is done by adding a @Valid annotation before the book method parameter. The result of the validation can be accessed using the BindingResult method parameter. Download the source code for this post here. The application is tested on Glassfish 3.0 and WebLogic 10.3. Many websites today allow their users to theme or change the look and feel of their sites. Gmail for example, currently provides over 34 themes to skin the mail interface. Themes can make websites more interactive and put the user in the driver seat when it comes to experiencing the site. 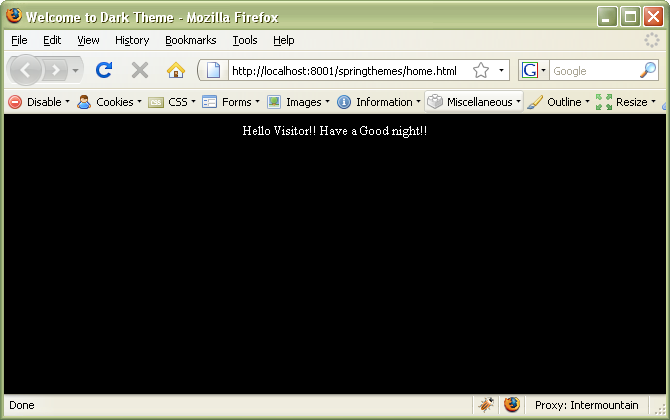 Conceptually, a theme is a collection of static resources such as stylesheets and images. 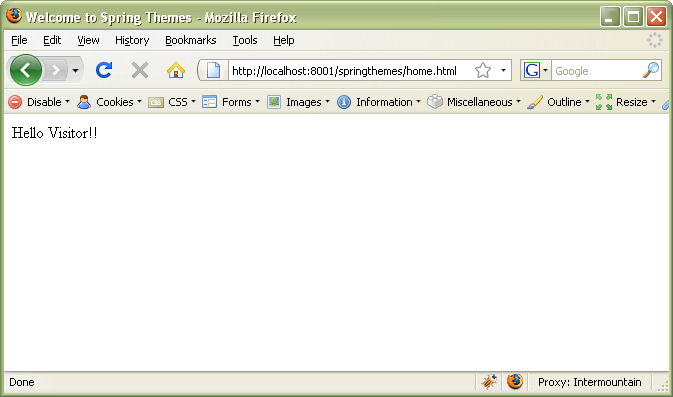 When a user picks a theme, the theme’s styles and images dynamically gets associated with the site. 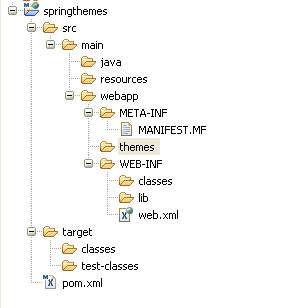 In this post, I will create a simple Spring MVC Web application and show how Spring MVC can be used to manage theme resources easily. If you have used Spring MVC quite a bit, you can safely skip to Step 5. Now that we are successfull in creating a simple Spring MVC project, lets add two themes to it – dark theme and bright theme. The site automatically gets the “dark” theme during nights and the “bright” theme during day time. welcome.message=Hello Visitor!! Have a Good night!! welcome.message=Hello Visitor!! Have a Good day! !